This article was posted on Friday, November 21st, 2014 at 12:50 am and is filed under Culinary Tourism. The best part about travelling the world is the food. There’s no doubt about that. And what you’ll find in Peru is no exception. Here, the food combines elements of the indigenous diet with ingredients and recipes from all across the globe. Its influences are from Spain, Italy, Japan, China, Germany, and other others. A rich set of uniquely Peruvian dishes is the result that makes everyone come back for seconds. Therefore, no Peruvian vacation is complete without trying out some of the cuisine. These are just a few of the mouthwatering dishes that you’ll find on your trip. Originating from the Andes region, the potato is a staple of the Peruvian diet. So it’s no surprise that causa is a favorite among the people. This is a traditional layered casserole made from layers of shredded potatoes mixed with lime juice, oil, and aji amarillo peppers. In the middle of these layers are fillings like tuna, trout, seafood, avocado, eggs, and corn. As mentioned above, the aji amarillo mentioned is an orange-yellow chili pepper that is common throughout Peruvian food. It is a mild chili, but its distinctive flavor is what makes aji de gallina the stew everyone loves. It combines the pepper with chicken, condensed milk, and de-crusted white bread. Traditionally, it’s served over rice and boiled potatoes with black olives. And sometimes it may have walnuts, but it all depends on who’s preparing it. Along with potatoes, seafood and corn are two of the key elements of Peruvian cuisine. And the best dishes have both like choritos a la chalaca. This is often an appetizer, but it is also a full meal if you want it to be. It’s steamed mussels, topped with onions, diced tomatoes, corn, and other vegetables. So if you like ceviche and other similar seafood and vegetable dishes, this one is for you. 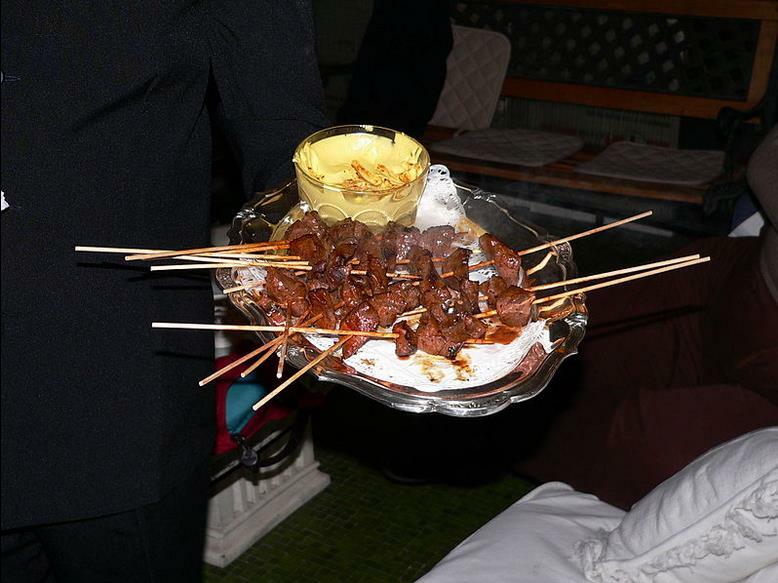 Dating all the way back to the Spanish conquest, both high end restaurants and street vendors alike sell anticuchos. Basically, they are pieces of skewered and grilled meat similar to shish kebabs, often covered in garlic sauce or cheesy salsa a la huancaína. Typically made from beef heart, this is a meal to brag about to your friends back home. Or if the idea of bovine organs makes you queasy, you can find it made with other, more “normal” meat, too. Either way, your taste buds will thank you afterward. Lastly is dessert. You can’t travel to another country and not have dessert. And picarones are the perfect Peruvian delicacy to try while you’re here. Traditionally served alongside anticuchos, picarones are similar to donuts. But don’t expect the sweet fried bread you’ll find elsewhere in the world. 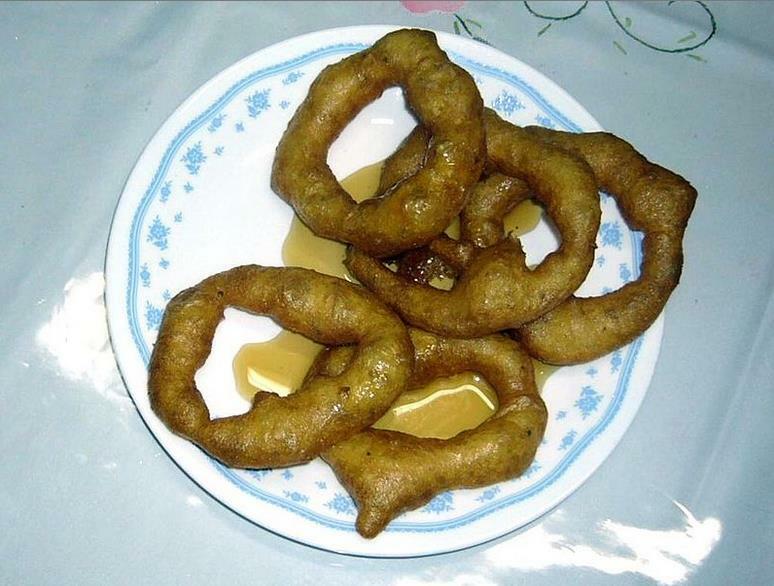 Picarones are a fried dough of squash and sweet potatoes, topped with molasses. While it might sound weird at first, the experience is unforgettable. If the food here excites you, then know there’s a lot more. These are only a few of the Peruvian dishes you’ll find while visiting. If you are looking for the full culinary experience, there will be many more unique and tasty foods to try, including specialty dishes unique to the country’s different regions. After all, Peru is a diverse place, so it makes sense that its food is, too. There’s something for everyone here! Want to dive into a platter of one of the dishes above? Book your tour now or reach out to one of our travel agents!.